Composition: 80% snail secretion, 20% excipients. Pure and natural no colourants or perfume. Recommended for people with mixed or oily complections. Apply a small amount of Elicina cream twice a day. Avoid eye area. Courier service and pricing on request. Delivery | Courier of your products will take place 5-7 working days after payment has been received. and neck with a refreshing sensation of elasticity and firmness. Pure and natural, no colourants or perfume. Recommended for people with dry or sensitive skin. 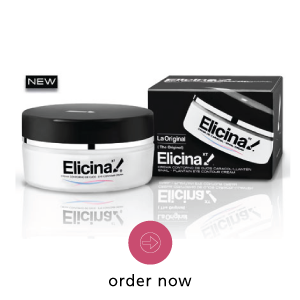 In order to avoid dryness apply Elicina Plus snail cream twice a day. Avoid the eye area. treatment for the eye area. Aucubin and Vitamins B1 and C and the extracts in EXT delay the signs of ageing. Elicina XT is unscented and contains no colourants. 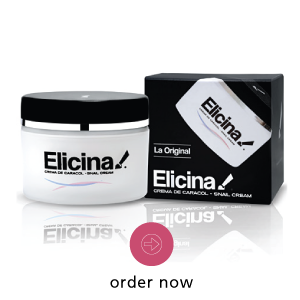 The Elicina After Shave Balm, especially beneficial for men who suffer from the same-day-second-shave-syndrome. Its formulation is more liquid than the cream as a result of the emulsions it contains. Proteins and Glycolic Acid in their natural form, which helps the skin’s restorations after shaving. Elicina balm has a soft pleasant fragrance and is non-greasy, which makes it easily absorbable. Elicina Pocket, designed specifically to be taken everywhere, in your purse, suitcase, backpack or pocket. Pocket comes in a 20g tube with Elicina cream and it fits in your pocket. Everyone carries it as they wish, in childrens backpack when they go to school, in mens briefcases when they go to work, in college students jacket pockets and in every womans purse. Its formulation and properties are the same as Elicina cream. Use it in cases of: Burns, Scars, Minor cuts, Spots, Acne, Wrinkles, Stretch marks, Queloids and Warts. 2. Do your payment for products and courier by means of secure online banking EFT or by means of direct deposit at your nearest branch. 3. Send your proof of payment to info@elicina.co.za with your name, surname and contact number as reference. You will receive a confirmation email once your order has been placed. Delivery | Courier of your products will take place 5-7 working days after payment was received. Contact your nearest Elicina Stockist in your area. See contact details at the bottom of our website. Enjoy your new Elicina skin!